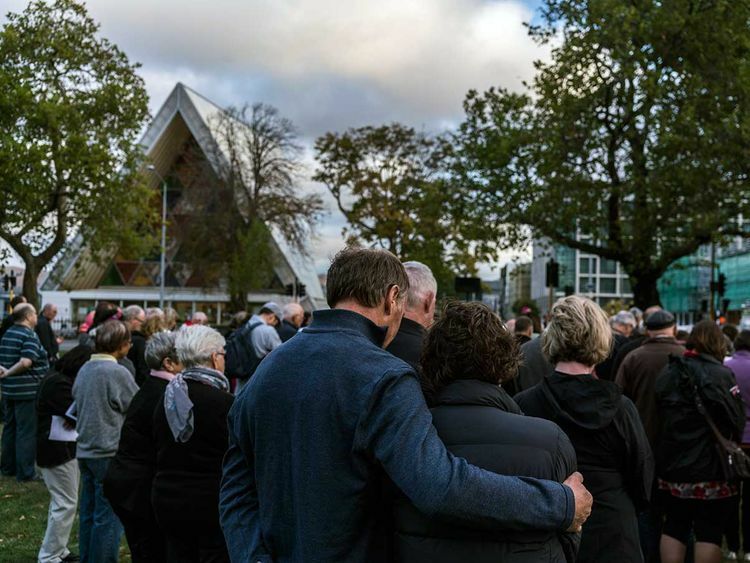 Thousands of people are expected to attend Friday prayers in Christchurch as the mosque that was hit first in horrific attacks that killed 50 people prepared to reopen. Gamal Fouda, the imam of Al Noor mosque, said he was expecting 3,000 to 4,000, including many coming from abroad, to join the prayer, which is likely to be held in Hagley Park, across the road from the mosque. Forty-two people were killed at Al Noor mosque, which was the first site targeted by the shooter. Members of Linwood mosque, where the gunman killed seven people, will attend the joint prayer. Fouda says mosque workers have been working round-the-clock to repair the destruction from the 15 March attack. They plan to bury the blood-soaked carpet. It came as two petitions with a total of 70,000 signatures calling for a ban on semi-automatic weapons was handed to MPs outside parliament, days after prime minister Jacinda Ardern promised New Zealand's gun laws would change. 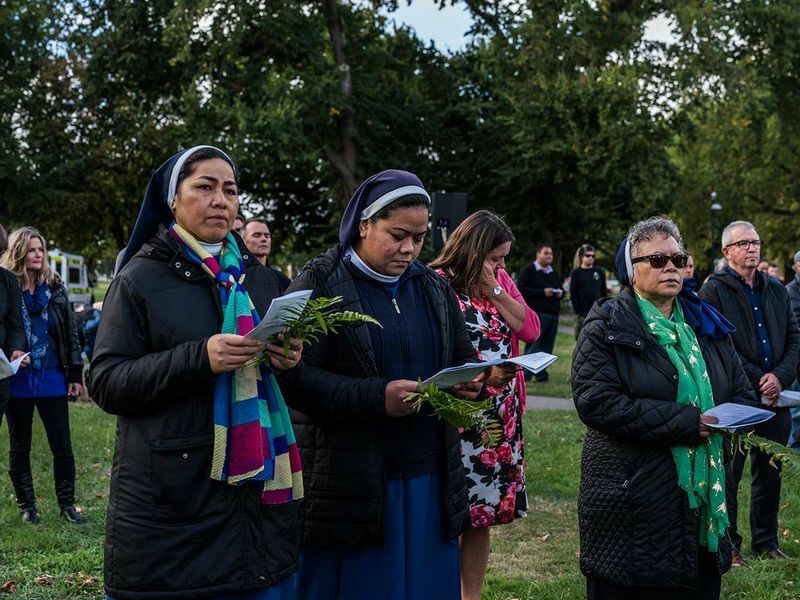 On Thursday, Ardern said a two minute silence would be held across the country and that the call to prayer would be broadcast on TVNZ and Radio New Zealand to commemorate the attack. Meanwhile, funerals continued to take place on Thursday , after bodies began to be released to families on Tuesday night. At least six more funerals were due to take place on Thursday, including the funeral of Hati Mohammed Daoud Nabi, the 71-year-old man who opened the door of Al Noor mosque to the gunman. In her address to parliament on Tuesday , Ardern honoured Nabi, saying that as he opened the door to the gunman he "uttered the words 'Hello brother, welcome'. His final words." "Of course he had no idea of the hate that sat behind the door, but his welcome tells us so much - that he was a member of a faith that welcomed all its members, that showed openness, and care," she said. Those listed for burial on Thursday also include 14-year-old Sayyad Ahmad Milne, Tariq Rashid Omar, 24, Linda Susan Armstrong, 64, Hussein Mohamed Khalil Moustafa, 70 and Matiullah Safi, 55. There has been frustration among the families of the victims at the delays in releasing the bodies for burial. In the Islamic faith, bodies should be buried within 24 hours of death, but the first burials occurred on Wednesday. At her media conference on Wednesday, Ardern said she "shared the frustration" of those who wanted the bodies released faster and the process would be reviewed in the aftermath of the shooting. Earlier in the day, police commissioner Mike Bush said the reason for the delay was that the bodies needed to be identified to an "evidential" standard that could be presented to a coroner. The first victims to be buried were a father and son who fled the civil war in Syria for "the safest country in the world". Khalid Mustafa, 44, and Hamza Mustafa, 15, were killed in the shooting. Hamza's brother, 13-year-old Zaed, was also hit in the attack and was wounded in an arm and a leg. The boy tried to stand during the funeral ceremony but had to sit back in his wheelchair, one mourner said. During the funerals, Hamza's high school principal described him as compassionate and hardworking, and said he was an excellent horse rider who aspired to be a veterinarian. The Mustafas had moved to New Zealand last year after spending six years as refugees in Jordan. Mustafa's wife, Salwa, told Radio New Zealand that when the family asked about New Zealand they were told "it's the safest country in the world, the most wonderful country you can go ... you will start a very wonderful life there." She added, "But it wasn't." Ardern said the family should have been safe. "I cannot tell you how gutting it is to know that a family came here for safety and for refuge," she said. Four other burials took place on Wednesday evening. Those victims include Junaid Ismail, Ashraf Ali and Lilik Abdul Hamid. The fourth victim's name was suppressed by court order. Further arrests have been made of those who shared the footage of the mosque attacks or celebrated it. A resident of the United Arab Emirates who worked for a security firm was detained and deported after making comments on Facebook celebrating the New Zealand mosque attacks. Transguard Group said its employee, who was not identified, made the comments on his personal Facebook page under an assumed name. Transguard said the employee was stripped of his security credentials, fired and handed over to authorities.